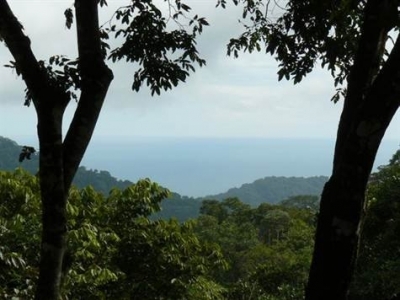 2.5 ACRES – Beautiful Ocean View Property With Nice Jungle Setting – Priced To Sell!!!! 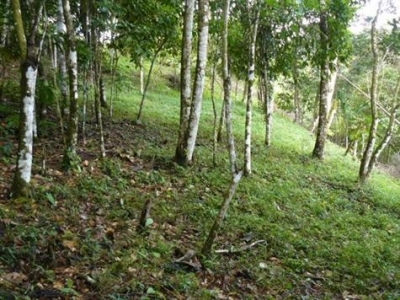 This beautiful property is up on Cacoa Ridge, 20 min from the beach, 10 min on a paved road and 10 min on a gravel road. 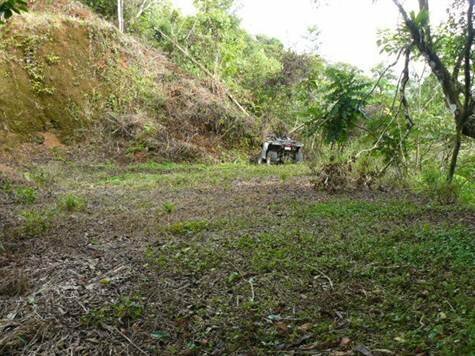 You turn off of the paved road in the small mountain town of Platanillo, on the way to San Isidro. It is part of a small 7 lot project. 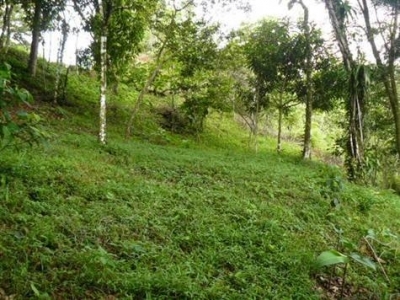 Each lot is very private and the entire project is tucked into the jungle. The owner is very evironmentally conscious and plans to live on one of the lots and wants like minded people in his community. The property has some resident monkeys and is frequented by all types of wildlife! The owner has also made a community area with some ponds that will have talapia (fresh water fish) and shrimps that you will be able to catch and eat!! 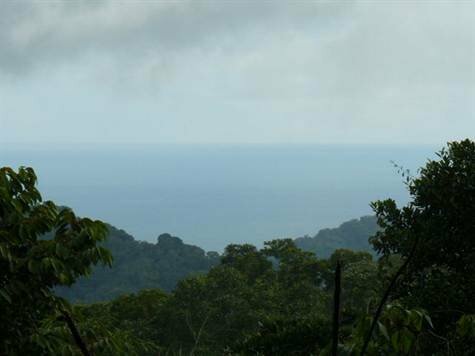 This lot is the uppermost lot in the project and has the best ocean view. The seller has already put in a small building site. The rest of the property is gently sloped and easy to build on. 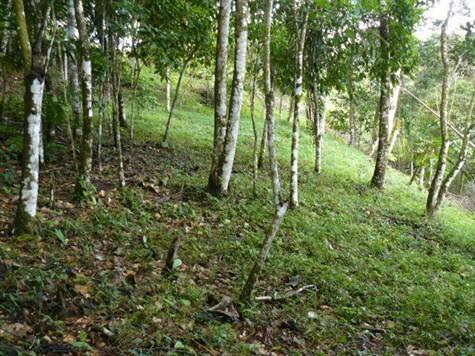 The property is tucked into the jungle and has many fruit trees. This is a great property andit is priced to sell!!!! !